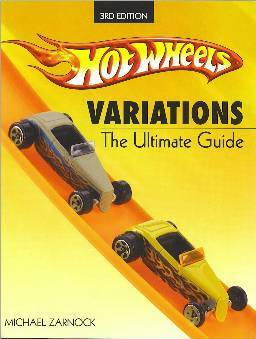 Hot Wheels Variations, even with minute differences, can be double the value of a collectible die-cast car. It's all in the details when you're dealing with Hot Wheels, and nothing is more detail driven than variations. Whether it's a slightly different shade of paint, a different wheel, interior or window, owning a variation can mean the difference between a $10 collector die-cast car and a rare find worth $500. This new edition of the ultimate guide to Hot Wheels variations features 4,000+ car listings, plus 2,200 large color photos to help you make smart investments and savvy assessment of your Hot Wheels collection.